On April 26, 2017, the Foreign Intelligence Surveillance Court issued a scathing 99-page Opinion outlining the various schemes employed by the Obama Administration in a massive illegal spying operation targeting millions of Americans. This FISC opinion exposes the deliberate nature of the illegal surveillance of private citizens on American soil but fails to articulate the punitive nature of the ‘intercepts’ of signal communications on the First Amendment rights of the political opposition. Fake News would have you believe that ‘intercepts’ involve the passive monitoring of foreign operatives, which may have accidentally targeted a few of your favorite Congress critters. In reality, ‘Intercepts’ are a whole different animal, designed specifically to obstruct the free flow of data, documents and opinions posted online by political opponents, not foreign intelligence operatives. Back in October of 2016, Obama official informed the FISA court of illegal spying operation that violated all the laws and directives designed to protect the 4th Amendment rights of US citizens. The FISC Opinion was in response to the ‘Institutional Lack Of Candor’ by government lawyers operating spy programs that would make the Keystone Cops look competent. As the target of this corrupt practice, my interpretation of the term ‘intercept’ is somewhat different from Orwellian double-speak provided by the mainstream journalist. It’s like calling the WannaCry ransom-ware created by the NSA a business software program, then blaming the victim of extortion for paying the ransom demand. Implying that national security concerns are forcing government agents to steal, disappear or destroy online content for political or economic reasons is ridicules. Unlike people being illegally un-masked by intelligence services for purely political party reasons, the ‘intercept’ is all about government scooping up information to keep it from the American people. Government-created Mal-ware programs are not designed to protect civil liberties or ensure domestic tranquility. This is censorship pure and simple! Don’t be fooled, suppressing debate on political issues, governance models, and economic policies are the only reason for Big Brother’s massive spying operations. Issues like Free Trade, Net Neutrality and immigration are no longer considered any of your business, its government business. So shut up or else the government will label you as a Non-State Hostile Intelligence Service, which is considered a very bad thing. Talking about transparency and accountability makes government spies sad and should be avoided at all cost. America’s current double-standard in law officially began back in 1992, when former CIA Director and lame-duck President George H. W. Bush signed onto the UN Agenda 21 Development Plans which were strongly opposed by the majority in both major political parties. President Bush then created the ENERGY STAR program, arguably the most corrupt federal program in US history which has been the subject of a total news “blackout” since day one. If you don’t believe me, try to find any news stories online about the ENERGY STAR brand. Under the guise of science, the EPA created the ENERGY STAR brand of government ‘certified’ energy efficiency which became a multi-billion dollar commodity for government bureaucrats. The government’s new invention resulted in the ENERGY STAR mandate, requiring that every sub-division of government from the local dog catcher to the Pentagon purchase all products and services from EPA’s non-profit partnerships. EPA was essentially granted monopoly control over the entire US government procurement process, all without presenting a shred of evidence proving any of their extraordinary energy saving claims. EPA’s unique product soon became the most lucrative commodity on the planet, which explains why leaders in Japan, Canada, Australia, New Zealand, Taiwan, Switzerland and the European Community have all mandated the use of ENERGY STAR for their people. The EPA’s energy experts were also selected to conduct all measurement and verification services for the Paris Climate Accord, despite the fact that the US never developed a National Standard for the measurement and verification of electrical energy savings in products. EPA claims their ENERGY STAR brand has produced over $430 billion in energy savings, yet for some unexplained reason, the subject of ENERGY STAR was never once brought up during debate on the Clean Power Plan, Paris Climate Accord or at any time during the 2016 Presidential election. Other than a few news reports about US Attorney General Lynch threatening to bring RICO charges against science deniers, environmental issues were rarely discussed during the campaign. Did that cost Hillary the election? When President Trump announced the ‘close out’ of the ENERGY STAR program back in early February, media virtually ignored the biggest economic story of 2017. The repeal of the ENERGY STAR mandate effectively opens up the US government’s trillion dollar annual procurement processes to honest competition for the first time in decades. Why haven’t any of the major environmental groups come to the defense of the ENERGY STAR program, don’t they believe in Settled Science anymore? Now President Trump is ending Obama’s disastrous Clean Water Rule, also known as the Waters of the United States which sought to expand federal control over every mud puddle in America. Millions of farmers, ranchers, and family businesses will no longer live in fear of government seeking to crush them with draconian regulations. Mountains of worthless regulations have been swept away, meaning that some of America’s most productive citizens will no longer be sidelined by lawyers and bureaucrats. These are the real issues Americans care about, not Russia, Russia, Russia. Buy American-Hire American policies are already creating demand for Americans with proven skill-sets and proper work ethics to rebuild our crumbling infrastructure. Industries are hiring leaders, searching for real professionals and tradesmen to help MAGA. Safe-space socialist and black-masked protesters need not apply, most employers simply have no use for their limited talents. Independents voters need to stop pretending that government ‘intercepts’ are for your protection as if you aren’t smart enough to tell the difference between fact and fiction. 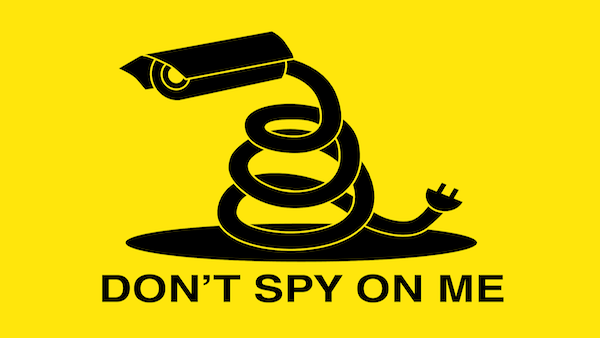 Government spying isn’t about keeping you safe from foreign ideas, it’s about control of domestic employment opportunities. Pay to Play politics are they know, so quit expecting the political establishment and their media to ever change how they do business. Take a lesson from President Trump and by-pass the media/entertainment complex, go looking for business opportunities where they exist. Don’t worry about competition from Progressives, they don’t have any interest in normal jobs or hard work so every market is wide open. Embrace honest competition, have faith in free enterprise and believe in the American Dream. It won’t be easy, but nothing worthwhile ever is. America is exceptional, we are the most productive and innovative society in history and the entire world knows this is true. So thank God for your many blessings, then go for it!